1992 Toyota Camry Odometer is 95997 miles below market average! This versatile 2007 Toyota Corolla CE Sedan in Indigo Ink Pearl knows how to turn heads. Powered by a dependable 1.8 Liter 4 Cylinder that offers 126hp while paired with a quick shifting 5 Speed Manual transmission. Our Front Wheel Drive Sedan works hard to earn you nearly 34mpg on the open road while accented by a sweeping body style and sporty wheels.Inside our CE, you are welcomed with all of the creature comforts you demand. Settle into the supportive cloth seating as you enjoy the spacious cabin filled with cruise control, adjustable front seats, a 60/40 split folding rear seat, 12V power outlets, and a stellar sound system complete with AM/FM radio and a CD player.Our Toyota has a long list of safety features you will appreciate. Daytime running lights, child seat anchors, side-impact door beams, and plenty of airbags are on your team. This sensible Corolla CE will make a perfect new addition to your family! Print this page and call us Now... We Know You Will Enjoy Your Test Drive Towards Ownership! *Before purchasing this vehicle, Performance Motors, Inc. is informing you that it is being sold AS-IS without any kind of dealership guarantee or warranty period. If you're looking to save money on gas, our 2005 Toyota Corolla LE Sedan in Phantom Gray Pearl is what you've been searching for! Powered by the proven 1.8 Liter 4 Cylinder generating 130hp while connected to the agile 4 Speed Automatic transmission. This nimble Front Wheel Drive Sedan works hard to earn you nearly 35mpg on the highway! The curvaceous styling accented by sporty wheels, power mirrors, and polished headlights take this exterior to the next level.Inside, our LE will impress you with its soft-touch materials and modernized cabin. Settle into comfortable cloth seating and enjoy the ride with simulated wood trim, air conditioning, cruise control, power windows/locks, keyless entry, and plenty of cubbies for storing all of your goodies! 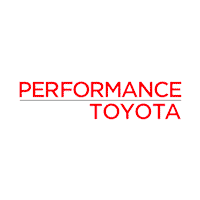 If that wasn't enough, the Aftermarket Audio system sure will keep you entertained with AM/FM radio and a CD/MP3 player.Toyota reliability ensures your safety with daytime running lights, child seat anchors, and an army of airbags. With its comfortable, roomy interior, smooth ride, good safety ratings, and excellent fuel economy, this Corolla LE is the sensible choice! Print this page and call us Now... We Know You Will Enjoy Your Test Drive Towards Ownership! *Before purchasing this vehicle, Performance Motors, Inc. is informing you that it is being sold AS-IS without any kind of dealership guarantee or warranty period. Offering comfort and style, our 2006 Toyota Corolla LE Sedan is ready to go in Cactus Mica! Powered by a reliable 1.8 Liter 4 Cylinder that offers 126hp while connected to the 4 Speed Automatic transmission to make passing people on the highway a breeze. Once you slide behind the wheel of this Front Wheel Drive Sedan, you will be elated to earn nearly 35mpg on the highway so you can pass by that gas station another day! The 15-inch steel wheels, angular headlamps, and sporty stance let everyone know that you have arrived.Inside, our LE offers plenty of features to keep you in touch and up-to-date. Settle into the supportive cloth seats and take a look at the eye-catching wood grain accents. Passengers won't complain as they get into the back seats thanks to an adequate amount of space, air conditioning, and all of their favorite songs on the awesome stereo complete with AM/FM and a CD player. This Corolla comes with all of the features your life demands!With Toyota reliability, this Sedan will keep you and your loved ones safe from harm with daytime running lights, child seat anchors, side-impact door beams, and an army of airbags. Year after year, Corolla continues to be a most popular car and our LE is no exception. Hurry in before this one is gone! Print this page and call us Now... We Know You Will Enjoy Your Test Drive Towards Ownership! Fun, Fast, and Transparent Buying Process! *Before purchasing this vehicle, Performance Motors, Inc. is informing you that it is being sold AS-IS without any kind of dealership guarantee or warranty period. This 2000 Subaru Legacy Outback AWD Wagon with GB Equipment is an amazing machine showing off in White Birch! Powered by a 2.5 Liter 4 Cylinder generating 165hp while connected to the Automatic transmission. Plus the signature All Wheel Drive gets the power to the ground and keeps you sure-footed in any climate while earning near 25mpg on the highway. Turn heads with the iconic styling of this Legacy accented by two-tone body coloring, heated mirrors, roof rails, rear window wiper, and polished wheels.This Outback with GB Equipment is nicely outfitted with all the features you crave. Supportive heated seats, a leather steering wheel, air conditioning, power windows/locks, cruise control, keyless entry, and the awesome sound system with AM/FM radio and CD/Cassette is just the beginning! Load up everything you need into the huge trunk and take off on your next adventure with our Legacy.Subaru grants you peace of mind with plenty of safety equipment on board. Four-wheel ABS, daytime running lights, child safety door locks, and plenty of airbags are standard as are great ratings from the highway safety council. Drivers like you call this Legacy Outback with GB Equipment an outstanding, sporty, family machine. Print this page and call us Now... We Know You Will Enjoy Your Test Drive Towards Ownership! *Before purchasing this vehicle, Performance Motors, Inc. is informing you that it is being sold AS-IS without any kind of dealership guarantee or warranty period. Our 2010 Scion xB in White is here to tell you that you don't have to give up style, conveniences, and comfort for fuel efficiency! Powered by a 2.4 Liter 4 Cylinder generating 158hp while connected to the 4 Speed Automatic transmission. This Front Wheel Drive Scion works hard to earn you nearly 28mpg, yet another lovable aspect of this wagon! The styling is assertive and modern with a heavy dose of fun mixed in!Take a look at what our xB offers and you will be blown away. All the creature comforts that you know and love have been placed into the Scion, power windows/locks, keyless entry, cruise control, air conditioning, steering wheel audio controls, and a premium Pioneer sound system complete with auxiliary audio jack, MP3/CD player, USB connection, and an AM/FM stereo.With Scion, you won't need to worry about your safety with four-wheel ABS, stability/traction control, tire pressure monitoring, child seat anchors, and plenty of airbags on your side. Plenty of room, good looks, performance, safety, and comfort sum up our Scion xB. Put it in your parking space and watch the neighbors drift over to see what you are up to! Print this page and call us Now... We Know You Will Enjoy Your Test Drive Towards Ownership! *Before purchasing this vehicle, Performance Motors, Inc. is informing you that it is being sold AS-IS without any kind of dealership guarantee or warranty period. With its aggressive styling, our 2008 Dodge Caliber SE Wagon certainly knows how to make an entrance in Inferno Red! Fueled by a 2.0 Liter 4 Cylinder that offers 158hp while mated to a seamless CVT for effortless passing commands. This Front Wheel Drive Wagon earns you up to 27mpg on the highway and is as versatile as you need. You will love the chiseled profile, stunning wheels, and menacing grille on this sporty Caliber!Inside our SE, find the instrument panel, console, central storage bin, and armrest easy to us. Settle into comfortable cloth seating and find bright accents throughout the interior plus cup-holders illuminated by LED lighting. Pop in your favorite CD or plug your device in using the auxiliary input to play the music that inspires you. Our Caliber is loaded with special features, conveniences, and comforts that are hard to pass up.Dodge offers a tire-pressure monitor, child safety locks, and Next Generation multi-stage airbags it's no wonder why it received good marks from the IIHS. With the versatility you crave, the style you demand, and security features to grant you peace of mind, this Caliber SE is a perfect choice! Print this page and call us Now... We Know You Will Enjoy Your Test Drive Towards Ownership! Fun, Fast, and Transparent Buying Process! This gorgeous 2007 Pontiac G6 1SV Value Leader Sedan in Black will be the perfect fit into your daily life. Powered by a robust 2.4 Liter 4 Cylinder that delivers 169hp while paired with a 4 Speed Automatic transmission for passing authority. Our Front Wheel Drive Sedan earns you nearly 33mpg on the open road as it shows off great-looking wheels and automatic headlights.Inside our 1SV Value Leader cabin, you're greeted by a thoughtfully-designed cabin to keep you comfortable during your daily drive. Sink into comfortable cloth seating and enjoy a surprising amount of legroom, along with simulated wood trim, power windows, a pass-through rear seat, an impressive stereo system with CD player, air conditioning, and remote trunk release.Our Pontiac keeps you protected with a variety of safety features. Enjoy peace of mind thanks in part to multiple airbags, daytime running lights, child safety locks, and more. Fall in love with driving all over again thanks to this G6 1SV Value Leader! Print this page and call us Now... We Know You Will Enjoy Your Test Drive Towards Ownership! Fun, Fast, and Transparent Buying Process! Our 2006 Buick LaCrosse CXL in Silver delivers comfort, luxury, and a smooth ride that will have you singing its praises! Powered by a 3.8 Liter V6 generating 200hp while paired with a 4 Speed Automatic transmission. Our Front Wheel Drive LaCrosse rides smoothly and soaks up bumps on the highway. This mid-size Sedan handles like a dream while earning nearly 30mpg on the open road! With its stately grille and shapely body, our LaCrosse is attractive without being overdone.Drivers love Buick's hushed cabin, simple controls, plush ride, and peppy performance. The upscale CXL trim adds lots of luxury features for you - leather seats, full power accessories, a heated driver seat, dual-zone automatic climate control, cruise control, and an excellent sound system.The dash design is clean and elegant, and the safety features list is lengthy. Automatic headlights, four-wheel ABS, LATCH for child seats, and plenty of airbags are on your side. Our cushy LaCrosse CXL is just waiting for you to drive it! Print this page and call us Now... We Know You Will Enjoy Your Test Drive Towards Ownership!This vehicle is located @ Performance Volvo...610-678-3425...5050 Penn Ave, Sinking Spring. 2006 Buick LaCrosse 20/30 City/Highway MPG*Before purchasing this vehicle, Performance Motors, Inc. is informing you that it is being sold AS-IS without any kind of dealership guarantee or warranty period. You will love driving around in this sensible 2008 Chevrolet Impala LT Sedan in White with 644 miles below market average! Powered by a 3.5 Liter V6 that offers 211hp while paired with a 4 Speed Automatic transmission for easy passing. This Front Wheel Drive Sedan scores nearly 30mpg on the highway and is smooth when cruising and provides enough authority to please most buyers.This LT trim offers lots of comforts that begins with comfortable cloth seating, a leather-wrapped wheel with cruise control, multiple power accessories, a sunroof, keyless entry, an excellent audio system, and much more. Your search for the perfect family Sedan is over! Print this page and call us Now... We Know You Will Enjoy Your Test Drive Towards Ownership! Fun, Fast, and Transparent Buying Process! One look at this 2011 Chevrolet Impala LT Fleet Sedan in Silver Ice Metallic and you will know you have made the right choice! Powered by a 3.5 Liter V6 that offers 211hp while connected to a smooth shifting 4 Speed Automatic transmission. This Front Wheel Drive Sedan fun to drive, easy to own while showing off near 30mpg on the highway. Our Impala greets you with a wealth of amenities including sleek wheels, power windows, and automatic headlights.Spacious and comfortable, our LT Fleet features plenty of top-shelf features that you won't want to live without. Settle into the supportive cloth seats with power-adjustable driver's seat as you run your hand over the sophisticated simulated wood trim. Dual-zone air conditioning keeps everyone at their ideal temperature while you relish in modern features such as a leather-wrapped steering wheel with mounted audio/cruise controls and a 6-speaker audio system with CD player. In production at one time or another for the past fifty years, our Impala LT Fleet has a sterling reputation for safety and reliability. Reward yourself with this quality workmanship today! Print this page and call us Now... We Know You Will Enjoy Your Test Drive Towards Ownership!